Are you singing the song in your head? Or aloud? I sang it aloud, and my dogs gave me the look. Yep. That’s how bad my voice is. If you’re not singing it, have a listen. Joe Cocker’s version is one of my favorites. Why am I blathering on and on about help from friends? Two reasons. I’m helping a friend, C. S. Boyack, promote his new release, The Hat. His story is an interesting take on the ‘buddy story’ plot. Without further ado, let’s welcome Craig back to the site and learn more about his new novella. This is Lisa Burton, Craig’s robot-girl spokesmodel. She isn’t wearing THE hat. She is wearing A hat. And doesn’t she look smashing? I’m here to promote my new story, The Hat. This one is kind of a paranormal superhero story. The hero part involves two, well, let’s call them ‘people’ even if that’s only half true. Lizzie St. Laurent is a hard-working girl. She’s holding multiple jobs just to keep the wolf away. She comes into possession of an old hat with a long history. The hat is a being from another dimension, trapped into the shape of a hat for all time. He’s been around for thousands of years, taken many styles, and seen a thing or two. Lizzie is inexperienced with the dark underbelly of society. The hat has that experience, but no arms, legs, and ability to do anything about it. They form a symbiotic relationship to rescue some babies from human traffickers. This is what makes the story so much fun. They have to work together or nothing happens. They don’t exactly like each other either. The hat has been on the shelf since Lizzie’s grandfather passed away twenty years ago. He’s exposed to a world so completely changed by computers and electronics it’s baffling to him. The hat has his own baggage. He has a taste in music that is a little bit out of date. Oddly enough, it’s music that starts to bring them together. This is the beauty of a buddy story. You have two different main characters. In this case, very different. Authors get to pick away at the differences and have some real fun with them. Lizzie and the hat get in a few pretty interesting arguments along the way, and it adds some real fun to the story. I haven’t written a buddy story since Panama, and it was one of my most popular titles. The interaction between the characters is half the fun. It’s a chance for an author to really put a second effort into those characters, and good characters make for good stories. I have no idea why it took me so long to return to a buddy story. This one was so much fun to write, I may have to do it again. I may even recycle Lizzie and the hat, because they seem to have more stories in them. Pick up a copy of The Hat. It’s a novella, so it only takes an afternoon to read. It’s priced at 99¢ so it really isn’t much of a gamble either. Super post, Staci. I love Joe Cocker and I’m sure Craig appreciates your help. It was my pleasure to host him. Thanks for visiting, John. I appreciate everyone’s help, yours included. I always enjoy a good buddy story. Looking forward to reading this one. I think it’s a lot of fun, but I could be biased. It was a fun read, Sue. You’ll like it. A buddy story with a supernatural twist! I’ll take it! Lol! Sounds interesting! Hope it meets your expectations. I had a blast writing it. A fabulous guest post, Craig and Staci. Nice post promoting Craig’s new book! It’s great to have a buddy! I’m over at Staci Troilo’s place this evening, and the topic is buddy stories. The Hat is a buddy story like no other. 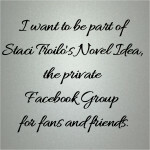 Come say hi, check out Staci’s place and tell us about your favorite buddy story. I have a feeling this song will be with me all day:) The more I hear about this story the more I’m excited to read it! I hope you enjoy it when it comes up in your reading list. It’s a really good story, Denise. I think you’ll enjoy it. Now I have that song playing in my head – never heard Cocker’s version. That’s a stunning pic of Lisa! Sing it loud and proud, Teri! There are plenty of songs in the book, but I never chose that one. Still, to discuss a buddy story it’s a pretty good choice. It’s a great book. I highly recommend it. Thanks for showing Craig some support, Don. Thanks, Don. So glad you enjoyed the story. You’re welcome. Look for a review over the next few days. 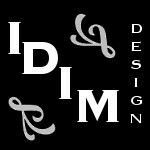 Excited to get your thoughts on it. Thanks. You’re welcome. You keep writing, I’ll keep reading. Thanks for having me back. I’ll reblog it after work today, but I’ll check in as my day allows. Would you ever write a buddy story? Always glad to have you here, Craig. I would write a buddy story. This is probably going to sound odd coming from a romance writer, but my favorite parts to write and read in my novels is the brotherly banter between the guys. That was the one thing I missed in the Cathedral Lake series… Jensen in Out and About did have some scenes with his friends, but not like in my other works. If I came up with the right plotline, I’d do a buddy story in a heartbeat. And I’d have a blast doing it. I think you’d be good at it too. I’d read it. Well, that would be nice! I had to settle for an auditorium with a few hundred other fans. So glad you enjoyed the story.